This lovely product from Oasis Beauty was one of which I received a really generous tester in my Makeup Obsessives meetup goodie bag. Billed as a “top to toe and everywhere in between repair cream” Rhino Repair has developed an almost cult-like following in the ten years it’s been available. My daughter put it on the little irritated skin bumps (not sure what they are – a minor form of dermatitis I think) under her eye and it seems to have really helped. If you’re in New Zealand and you want to try Rhino Repair obligation-free, you can visit their website and request a sample there. Part of the MUO admin team … the rest are scattered around the country and there’s even one beauty in Australia! 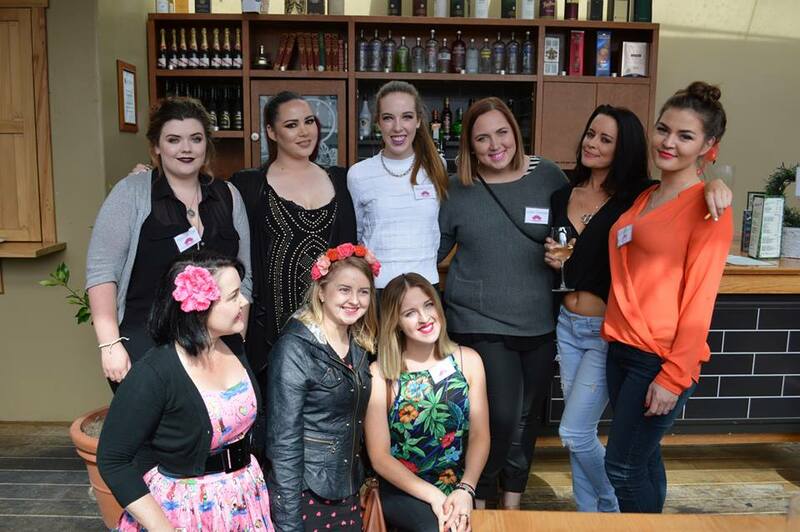 On Saturday we had the Hamilton Makeup Obsessives meetup and what a fabulous occasion it was! We had such a great time and it was lovely to meet some of my fellow admins and also some of my “social media” friends in real life! Click here for a bit more about what happened, and what was in the all-important goodie bag! 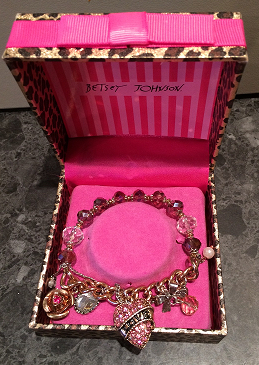 ♥ My new Betsey Johnson rose-gold charm bracelet Isn’t this just bloody gorgeous?! It was another Trademe score and I absolutely love it – unfortunately the photo doesn’t do it justice but trust me – it’s SOOOO pretty! It’s rose gold and it’s got pretty hearts, bows, roses and diamond charms … all of these things make me smile. Actually, I think that’s the gift Betsey Johnson has – she makes people smile at her wonderful, quirky and girly designs! And a smile, my friends, is a very cool gift to give. I LOVE the onset of summer in New Zealand – our garden suddenly bursts into life and colour and everything just looks so.much.better! 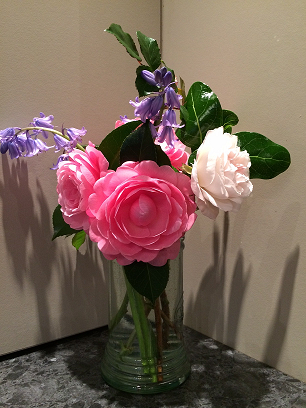 My little family is fortunate enough to have bought the home where I grew up and so I am able to keep enjoying the fruits of my mother’s labours in the garden – which is fortunate because I am NO greenthumb sadly! I don’t know what these flowers are called (camelias maybe?) but they’re so pretty and add a gorgeous pop of colour to the house (see … I went all interior-designery there!) There are beautiful roses all over the garden, as well as daffodils and all sorts of pretty things in the paddocks. What flowers do you love to have in your house? I love roses but I also love gerberas and peonies … actually, any flowers are just gorgeous to have inside really aren’t they? I’ve been reading this stunning woman’s blog for a long time now and she never fails to make me envious of her gorgeous looks and understated style. She’s big on shoes and therefore a girl after my own heart – she also has her own jewellery line – so glam. Karla Degas is a total babe – a very cool feature of her blog is that you can actually shop her closet if you are so inclined (and tiny!) … she sells her personal clothing via the blog and there’s actually some reasonable bargains to be had (well not the shoes – the shoes are expensive, but then they are designer shoes so that’s to be expected!) Sit down, grab a glass of wine and check her out – just make sure you’re not doing it on a “fat day” ‘cos it’ll only make you feel worse! I got these in the aforementioned goodie bag, and I must say, when I saw they were real human hair, I was a teeny bit dubious! But being the consumer I am, I got over it and pretty promptly stuck them on and headed off out for dinner! Personally, I’ve always found false eyelashes pretty “hit and miss” to be honest, but in fairness, I’ve always just used the cheapies. And OMG – never again! These were honestly 10 x easier to apply; they looked fantastic (if I say so myself – which I do!) and I hardly knew they were there. I was so thrilled with them that I ordered five more pairs … high praise indeed! Well, well … what do we have here? Hot pink, Barbie-style, red-soled shoes. Hmmm … me likey! The No Prive Riche by Christian Louboutin in hot pink patent leather. Posted on October 10, 2014 November 25, 2014 by MumptyStylePosted in Mumpty LovesTagged Betsey Johnson, Christian Louboutin, fresh flowers, Karla Degas, Makeup Obsessives, No Prive Riche, Oasis Beauty, Rhino Repair cream.